To be really honest with you, I am still hanging on to Summer! I can't help myself : ) Have a great week-end ahead & thanks for sharing. Your pumpkins are so cute. A few days ago we had one very nice day and I went and open the windows. How I miss that this year. Now it is back to hot and humid days. I fell like screaming at times, but I know that the it will be over soon, or hope so. 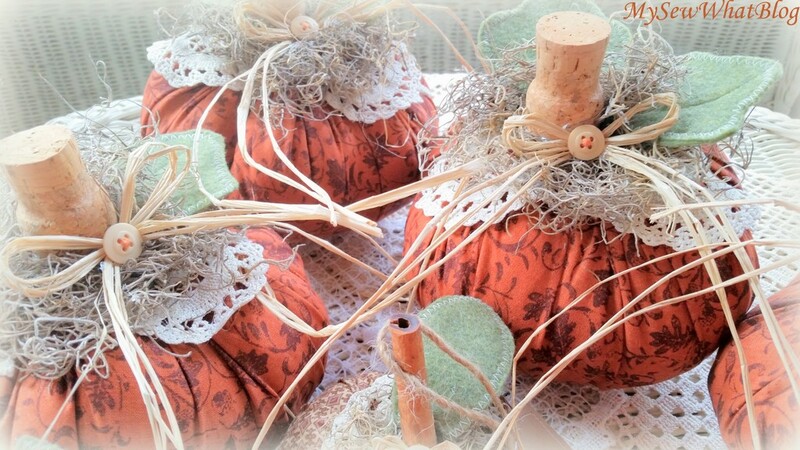 Adorable pumpkins, Linda! Yes, this time of year certainly causes us to want change around the home. I try my best to keep my beautiful window boxes looking good for as long as I can so as to enjoy them even when Fall has arrived. It seems as if once I pull those flowers the surroundings are dreary. 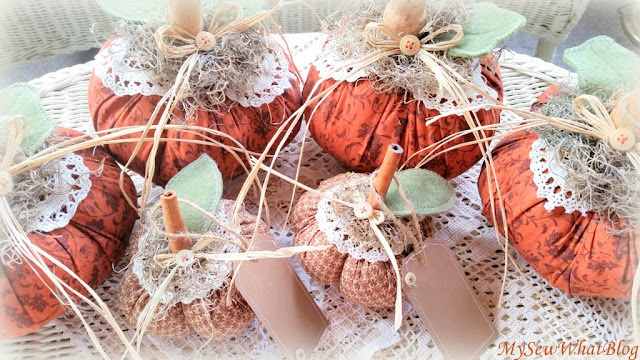 What a beautiful table setting you will grace for the Thanksgiving Holidays using those adorable pumpkins. I remember quite well last years time you spent with your dear mother. Hard to believe it has been a year nearly!! 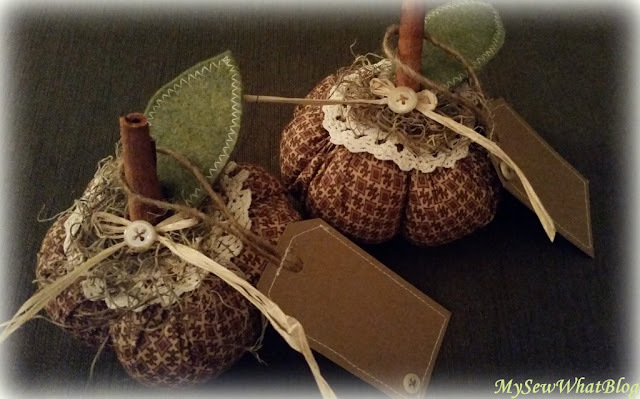 what a welcome smell of fall in this so wonderful post of yours, thank you sweetest friend of mine ! 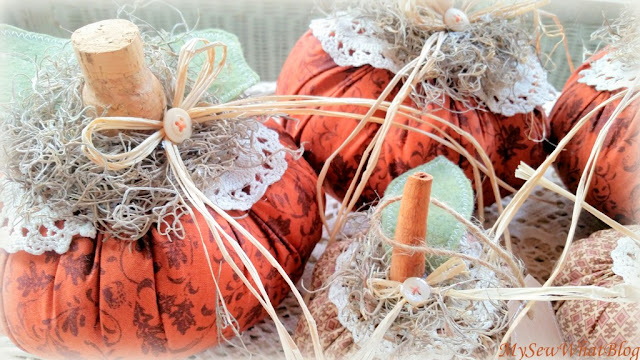 Hi Linda, Oh I just love your pumpkins. They are all just adorable with the details you add. I'm working my pumpkin patch too and right now it is a very busy time. So ready for fall. I did do some decorating and once again placed the darling fall angel you gifted me a couple years ago. I love her! 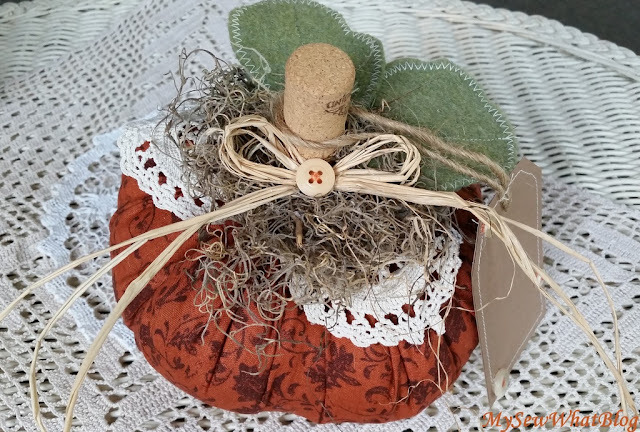 What a sweet pumpkin patch you've grown, Linda! Their colors and your writing about the cool weather make me want your autumn so badly. I'll have to experience it through you! 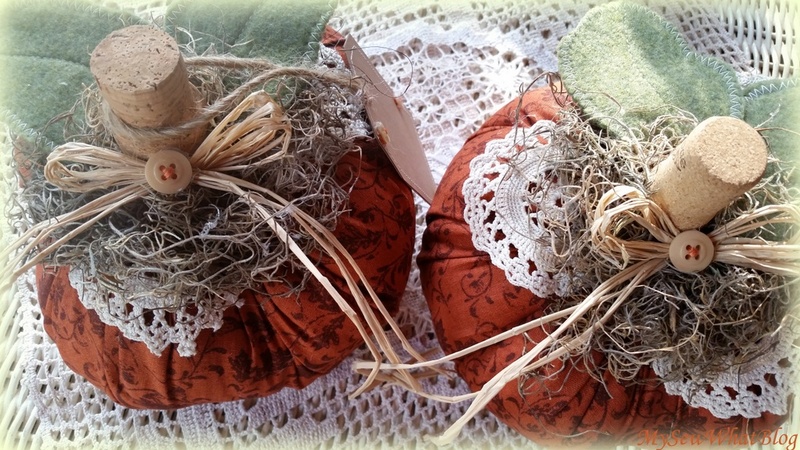 Oh Linda, I'm just in love with your pumpkins and gourds! They have so much vintage charm, even though they're new. Your embellishments just give the perfect touches. I do love your magnet, too. Aren't you clever in using a CD?! Yes, I'm so ready for Fall, but it takes awhile to arrive in Texas. 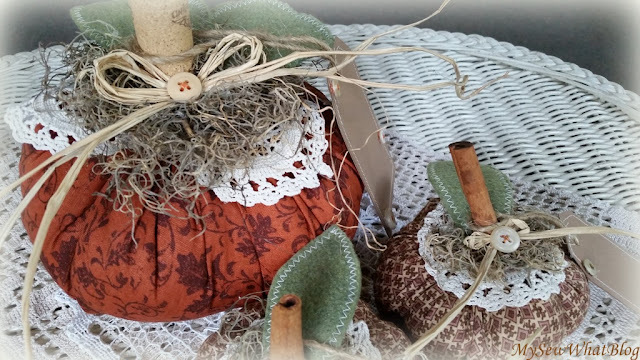 However, in September, I start putting out my Autumn, decor because it is such a favorite time of the year. I love the flavors and scents, and of course the baking and making of soups. Thanks, dear friend, for sharing your wonderful creativity with us. You're certainly getting me in the mood for decorating. Hopefully you'll be able to host Thanksgiving for your family at your house this year. Yes I do LOVE FALL!!! 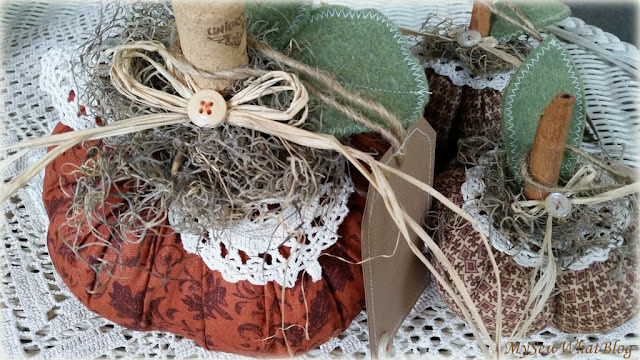 and these are going to be just beautiful on your Thanksgiving table or anywhere for that matter, wow they are wonderful!! 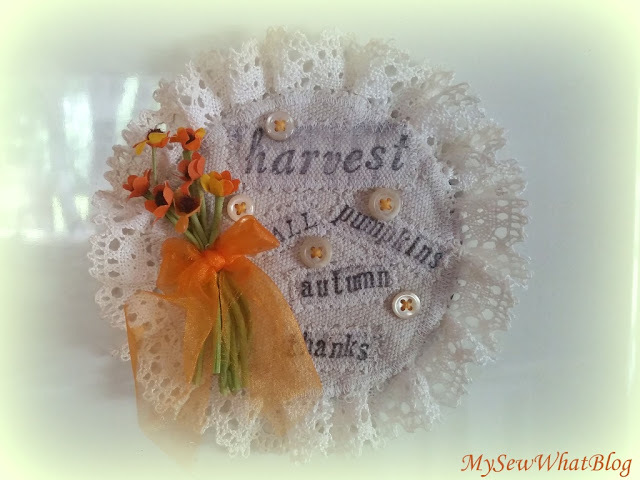 Your magnet is so pretty too and great idea using the CD as a base! I just love your pumpkins Linda! And I adore fall! 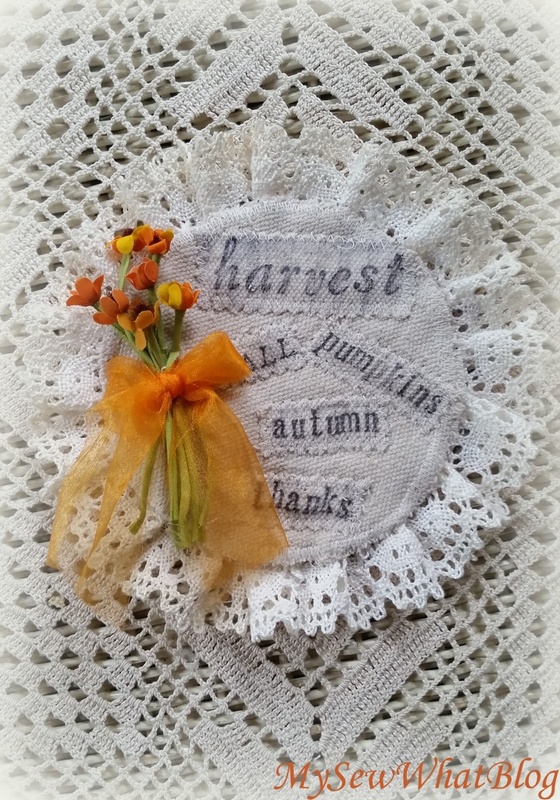 I will have plenty of fall photos shortly as I get time to decorate and the patch gets ready to harvest.